I had to sneak out between downpours and snap a few pics before the severe weather comes through and batters the new blooms. This is the first variegated bearded iris I've ever had. I brought in iris stem that got broken off in a storm and hadn't opened it's blooms, and it actually opened up in a vase! Very cool. I have variagated bearded iris in my garden too but they won't be flowering for many weeks yet. Their foliage is really lovely though isn't it with the dark and light contrast? What a beauty the iris in your second photograph is - I really like the colour of it. Your Iris are very pretty! 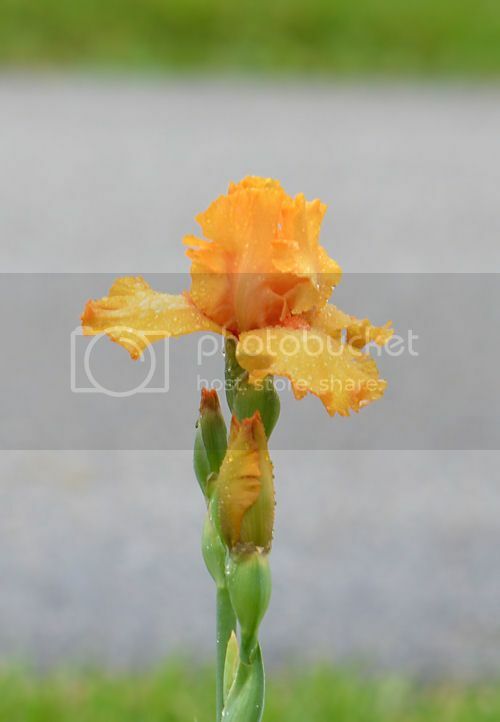 The variegated Iris are such cool plants, even without the flowers. Maybe you should set up umbrellas for them! :) It's very rainy here today, how about there? PL, Your irises are beautiful!! A friend just gave me a similiar variegated iris. I wonder if it is the same? Do you know the name of yours? The peachy orange iris is gorgeous too! The orange one makes me think of orange-sherbet ice cream, I just love it. Thanks everyone! I went and looked up the 2nd one, it is Avalon Sunset. I couldn't find the name of the variegated, but do remember buying it in Des Moines. SewNsow -- I know where West Branch is, my husband was there to sing in a show called Forever Plaid at the Hoover Site several years ago. We drive by once in a while. 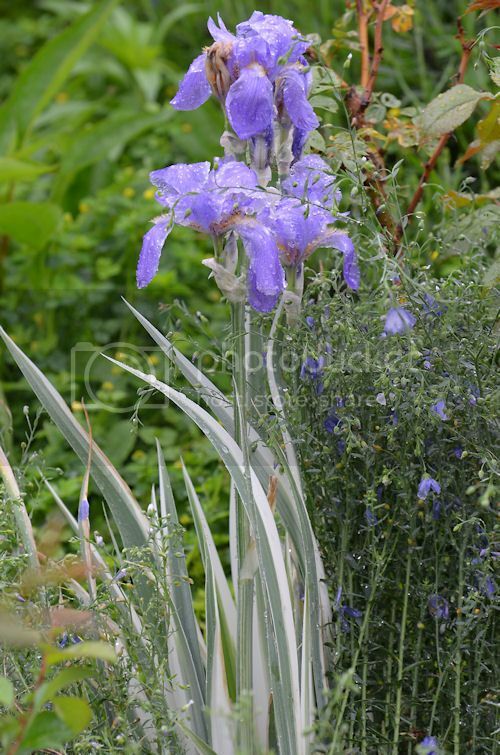 That variegated Iris is so lovely! I've never seen one before.